Description: Very high protection moisturising milk. Cactus nutriflavones + vitamin E.
Advanced UVA + UVB protection with photostability. - With the patented Mexoryl SX + Mexoryl XL filtration systems, it protects against UVA and UVB rays. - Offers effective protection for children's delicate skin to help protect against sun-induced skin damage. -The water resistant formula also contains a hydrating complex cactus nutriflavones and pure vitamin E, to protect the skin's natural moisture levels during sun exposure. Formulated to conform with European recommendations for protection against the harmful effects of UVA-UVB rays. 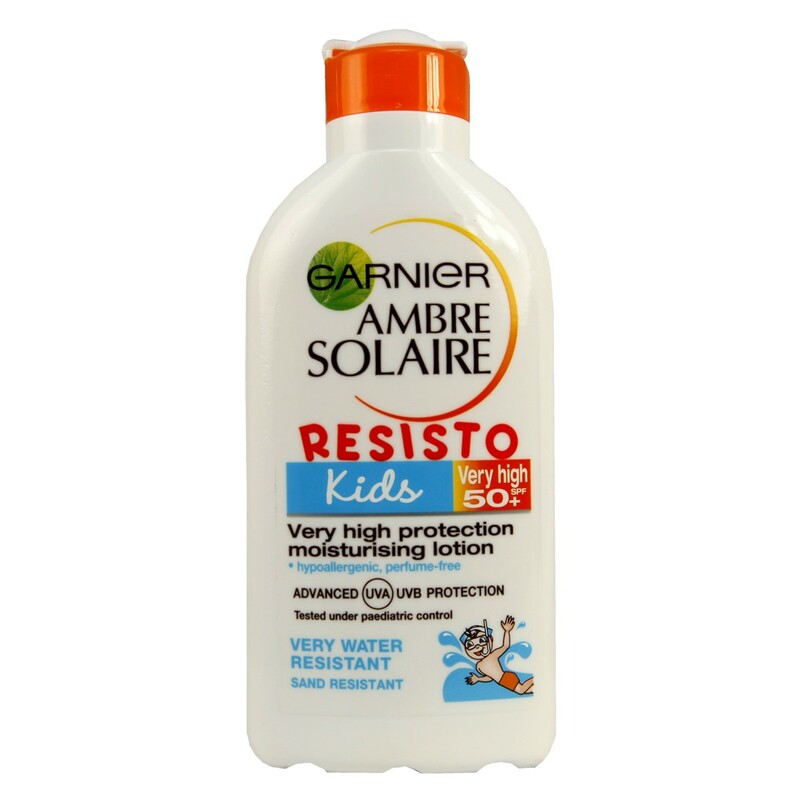 Thank you for your interest in Garnier Ambre Solaire Resisto Kids Milk SPF50+. Enter your email and we'll contact you as soon as it's available again.